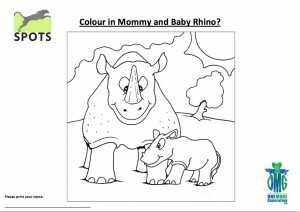 Rhino poaching is nothing new, but what is new is the increased demand for rhino horns and the desperately low numbers of remaining rhinos left in the wild. When Olivia and Carter started One More Generation, it was so they could raise awareness to the issue of so many species being added to the endangered list. It seems like every-time you turn around, there is a new, even longer list of species in jeopardy of becoming extinct. 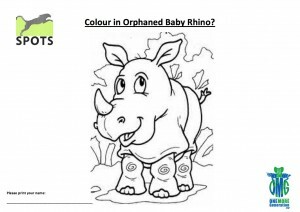 OMG has teamed up with the folks at at Rhino SA in South Africa and with the Jane Goodall’s Roots & Shoots South Africa in an effort to help raise awareness to the dire issue of Rhino Poaching. Unless we can motivate South African President Zuma to take stark actions to immediately curb poaching in South Africa, Rhino’s will go extinct in our lifetime. We are asking students (and adults) to help us show President Zuma how urgent it is for him to get involved. We can make a difference for these animals by writing a letter to President Zuma asking him to do something now. 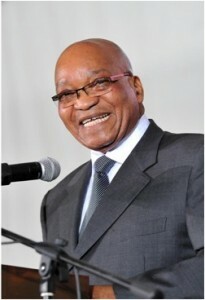 Our goal is to collect 1,000 letters and or drawings addressed to President Zuma. We plan on having the letters personally delivered to President Zuma to show him and his staff how much we in America (and all over the world) care for these animals. 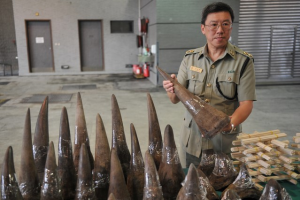 Why has poaching for Rhino horn increased so dramatically? South Africa is home to the Big Five. While all of them are at risk, on average two rhinos are killed every day through illegal and cruel poaching. The reason for the increasing slaughter is that the horn is sold into the Asian traditional medicine markets. 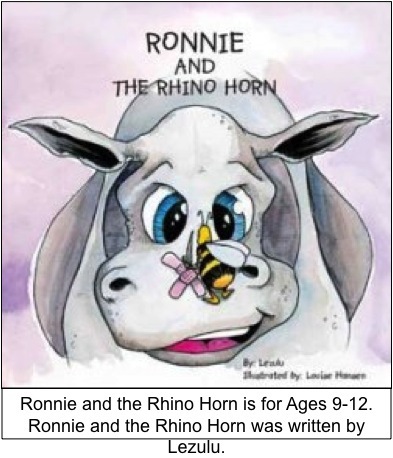 Rhino horns are composed largely of the protein keratin, also the main ingredient in hair, fingernails, and animal hooves, yet is has no proven medicinal value. In many cases the horn is hacked off while the animal is still alive. It is time to stop the animal cruelty and diminish the belief that the horn has any proven medicinal value. 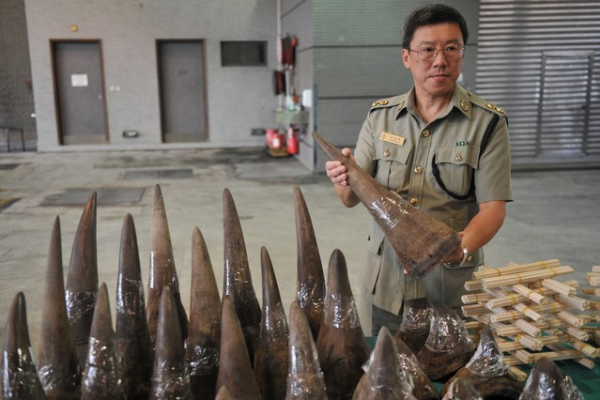 Ground-up Rhino horn powder is now valued at six times the price of gold. 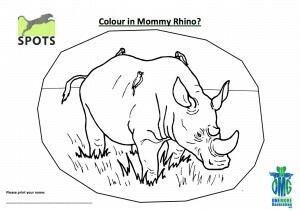 Syndicates use helicopters to shoot or dart a rhino with a tranquilizer gun to bring the animal down and then close in, hacking the horn off and then leaving the animal to bleed to death. 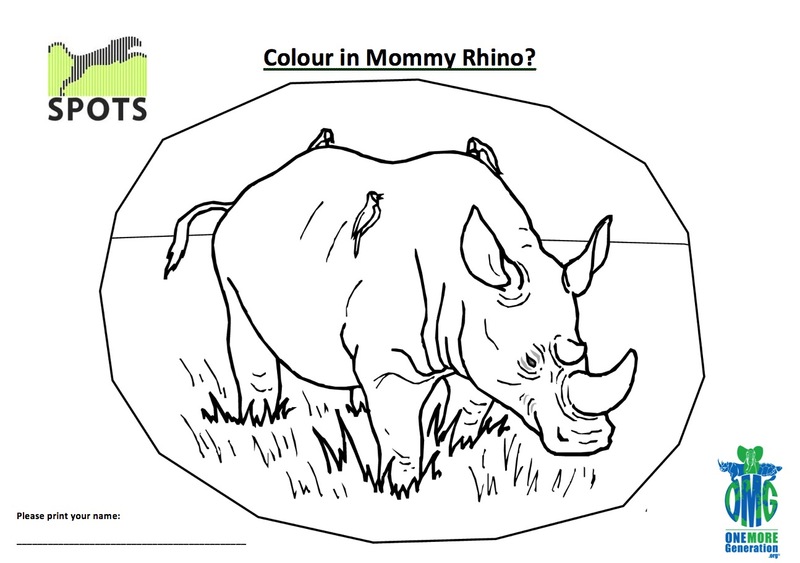 However, Rhinos are more often shot with high powered hunting rifles than tranquilized with a dart gun. 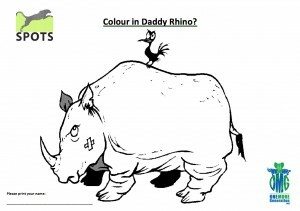 Often, if the cow has a calf, it is killed as well, both for the little bit of horn that it may have, but also to prevent it from interfering with the poachers as they hack the mothers horn out. Each and every one of us are supposed to be stewards of this planet and all it’s inhabitants. We are all they have got and they are depending on us to help them. Survival of many other species depend on us successfully fighting for the rhino’s survival. 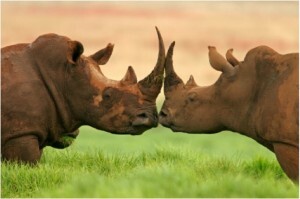 If the iconic rhino can’t be saved, what chance do the lesser known endangered species have? 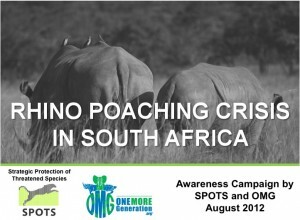 Your involvement in playing a role in conservation will be showcased on the OMG and Rhino SA websites. Make this part of your resume one day. It is something to be very proud of – show the world you did not wait for someone else to take action and solve the problem. You stood up for what’s right and made your voice heard. 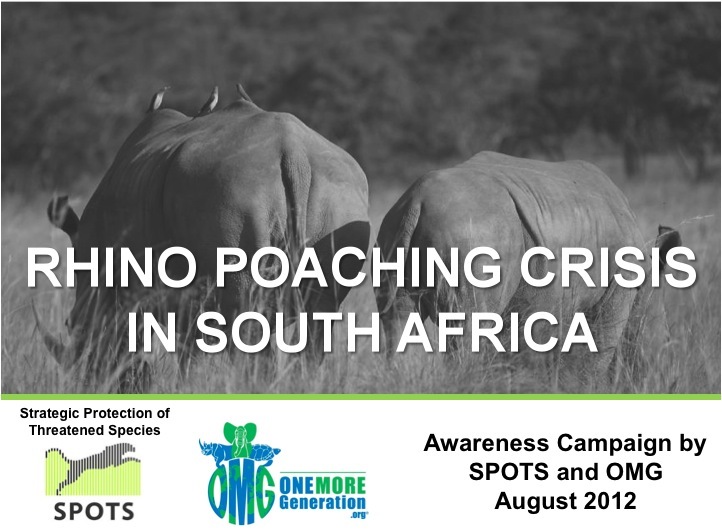 The OMG and Rhino SA letter campaign is not only about asking questions, it is also about bringing awareness to the plight of this defenseless animal. Letters will be delivered to the South African government and the media will be invited. By getting the media involved, a larger audience can be reached Remember, extinction is forever and each one of us has the power to make a difference. Please send us your letter today and we encourage you to also contact your school, church group or other community organization and ask them to also help collect letters as well. We have created an educational document on the issue which you can use to make your own presentation to schools and other community groups in your area. 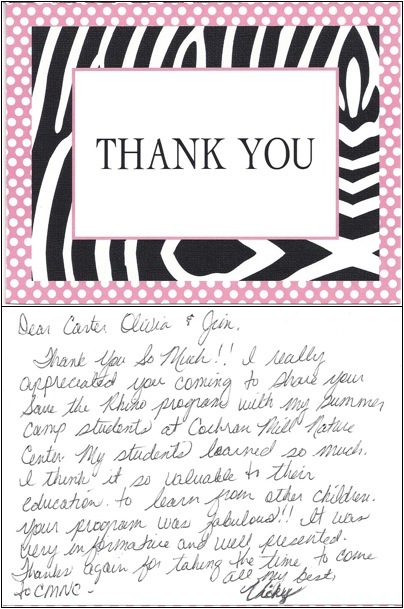 We will be awarding special prizes to the top three individuals who send us the most letters. 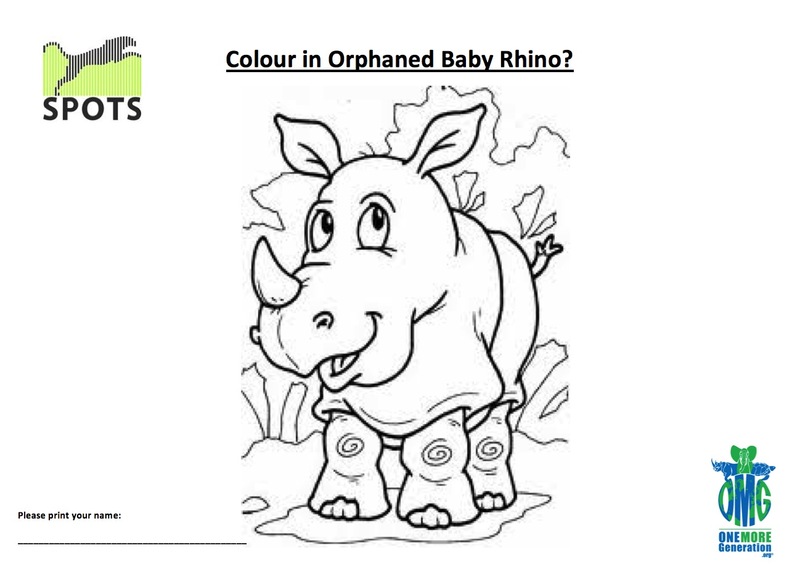 Board members from Rhino SA and OMG will also be picking their favorite letter and picture. If your letter or picture is chosen, you too will receive a special gift. Remember, together we can make a difference for these animals. 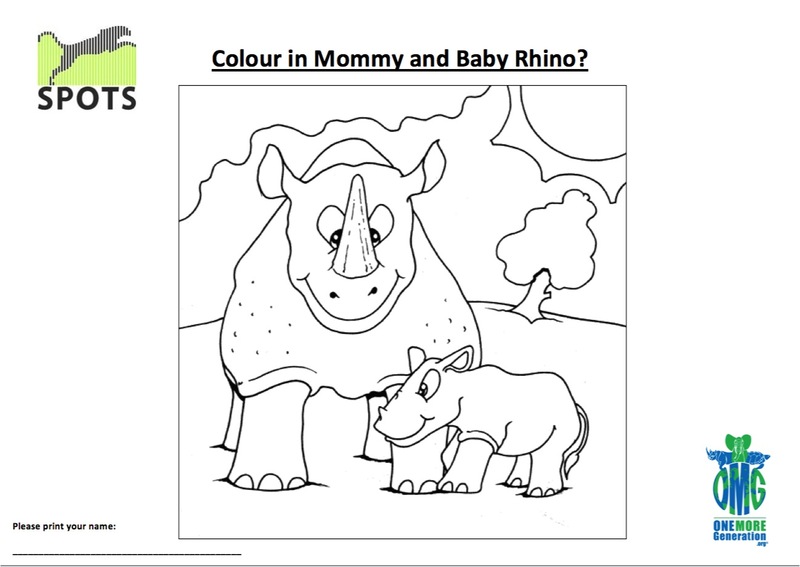 Click on the ‘Community Rhino Presentation‘ link below to download the complete presentation. The file is very large so it may take a few minutes to download. Please be patient. If you have problems downloading the file, please email us and we can email you a copy as well. Bingley, Earl #275 – West Vancouver, B. C.
Healy, Valerie #110 – Glasgow, Scotland, UK.